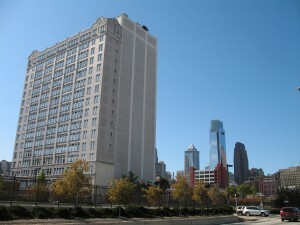 1100 Vine Street, The Grandview is a 12 story condominium building at the corner of 11th and Vine here in Center City Philadelphia. The building is made up of mostly 1 bedrooms under 600 square feet, some nice 2 bedrooms, and a few penthouses. The Grandview has a close proximity to Jefferson. What is so wise about this Philly condo? The condo association has limited the number of rentals allowed at any given time within this building. Fannie Mae will not lend on a unit in a building where the owner-occupancy is out of whack. This makes it exceedingly difficult to preserve value in a building that has more rentals than owner-occupants. So, the Grandview has a rule written into their condo documents limiting their rentals to around 30%. Genius! In the buildings with more renters than owners, it is extremely difficult for a new buyer to obtain financing. Occasionally you can find a lender to do it, but you better have at least a 25-30% down payment. Which most first time home buyers here in Center City do not have. Let’s face it, these buyers are “job-rich and cash-poor”. They just started working their first great job, but they have nothing in savings and are buried in students loan payments. Sales will begin to come to a halt in buildings that are not finance-able. Sellers will begin to compete with each other lowering prices and the value of the building will be a stake. Due to the preemptive strike at the Grandview, condos there are still selling, and selling well. Their value has been preserved. First time buyers can go in with as little as 5% down. On the flip side, another building here in town has lost a lot of value when the condo board sued the developer. Whether their reason to sue was right or wrong is not for me to decide. But unfortunately, as a result of a lawsuit within the condominium, lenders will not lend. Sales in the building have ceased. After 3 or 4 years of no sales, the building has become filled with renters and anxious sellers lowering prices, and lowering prices some more, hoping for a cash buyer to come along. The worst part is that when it’s all said and done, due to this short-sighted lawsuit, the owners of the building will never get back what they have lost in value. Let’s say there are 100 units, and let’s say they win the lawsuit. Even if they win something like $1,000,000, when you split that up among the units, they end up with around $5000 each. It’s like they cut off their noses to spite their own faces. They have lost a lot more than $5,000 in value per unit. Whatever they may win, it will not be enough to override fact that they lost so much value. Back to a more positive note, I hear another building in Old City also considering the same thing as the Grandview-limiting rentals. Great move! Keep buildings valuable by keeping them mortgage-able. 1) Go to Ikea, and buy a floor to ceiling curtain and hang it from ceiling height, in front of your bathtub. This is not going to take the place of your shower curtain, it is simply going to add some dramatic effect to the bathroom. It is quick, cheap, and has a powerful punch in terms of the emotional appeal of your Center City condo. 2) Paint an accent wall. Preferably, one that is opposite the entryway to any given room. I like to see fireplace walls accented in somewhat neutral, yet enticing colors too. Like a chalky blue, or green. Painting an accent wall will give a hint of flavor to a room, without overpowering the room with massive color. 3) Replace the knobs on the doors and drawers in your kitchen and bathroom. And don’t buy the 99 cents knobs either. Go to Pottery Barn, or Restoration Hardware, and spend a few dollars. Believe me when I tell you, they will help even a somewhat tired kitchen look a bit refreshed. That’s it. 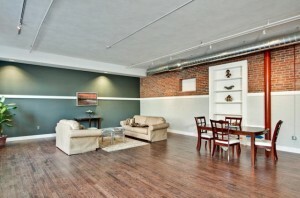 Three quick easy steps for maximizing the interior “curb appeal” to your Philly loft or condo! Almost ALL of these small associations allow dogs and cats. I dunno’ about giraffes. Rarely are size, or breed restrictions in place. Such is the case at The Garden Condominiums on the 1600 block of Spruce Street. No elevator, and limited common space generally mean more relaxed pet policies. However, there may be a nuisance clause inserted into the condo docs, should your pet be continually yappy, or prone to biting the neighbors. All Pre-War buildings on Rittenhouse Square allow dogs and cats. Breed restriction or weight limits may apply. It has been my experience that smaller high rise (and high-end) buildings with limited number of occupants do allow pets- Like 1900 Rittenhouse Square. High rise Philly condo buildings with large populations (Academy House) generally will not allow dogs. Large condo associations looking to rethink their restrictive pet policies can implement size and breed restrictions to keep disruptions and the “fear factor” out of the common areas of any given association. 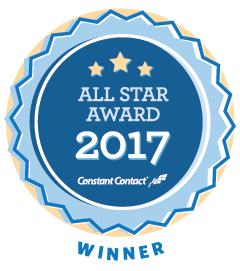 This idea will probably gain in popularity as associations look for ways to attract, instead of repel potential buyers. In my 20+ year real estate career here in Center City Philadelphia, I have realized that the buying public is about 50 times more likely to purchase a condo with a relaxed pet policy. Most buyers will give up their first choice of condo buildings, before they will give up their beloved pet. I wouldn’t dream of giving away my dog to live in any specific building here in Center City. Would you?